First, here is a date to put in your diary now – our Postgraduate Open Evening is taking place on Wednesday 30 April, 4pm-7pm, at the ThinkTank Events Suite, Millennium Point, City Centre Campus. Bookings are now open for the Research Methods Festival 2014, taking place in Oxford on 8-10 July. Earlybird prices apply until 11 April so get booking! Research students get a discount.Visit the NCRM website for more info and to book. 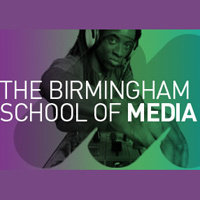 The Birmingham Centre for Media and Cultural Research (BCMCR) are holding their latest research seminar at 2pm, 492 at Millennium Point. BCMCR will welcome Dr Rebecca Bramall, University of Brighton and Ari Edelson, Co-Founder of Culture Craver. Rebecca will present on ‘Inside’ austerity: austerity chic, consumer culture & anti-austerity protest and Ari will present on Culture Craver – A Comprehensive Recommendation Engine for Culture. For more information visit the Eventbrite page. Over at BIAD at 5.30pm, Kevin Singh will give his Professorial Inaugural Lecture on ‘collaborations’. It will take place in the Parkside Lecture Theatre and drinks and canapes will be served after the lecture. Booking is essential, more info on the BCU research event page. If literature is more your thing, our Institute for Critical and Creative Writing (ICCW), in partnership with Writing West Midlands, are holding a reading and wine reception at 6pm at our Margaret Street Campus. The event is to mark the launch of Patrick McGuinness’s new memoir, Other People’s Countries, published by Jonathan Cape. For more information about the event visit the ICCW pages on the BCU website. Over the next couple of weeks we have the #RethinkMedia Conference on 25 March at our City Centre Campus. For anyone interested in media and digital media, this is unmissable. With speakers from The Times, BBC, BuzzFeed and many more. Tickets are still available, book them from the #RethinkMedia website. The School of English also have a research seminar on the 27 March by Paul Cheshire on William Gilbert’s The Hurricane: a Hermetic Apocalypse for an Age of Revolution. Taking place at 1.15pm, Baker 603, City North Campus. More information on the English research events page. For our full list of upcoming events, visit this page of the blog. These aren’t on the website yet but we couldn’t resist sharing them, so here they are, a new batch of our research highlights from across the University. Sarah talks about her work on the Arizona Justice Project. Liz talks about her work on institutional criminology. Keith Adcock of the Jewellery Industry Innovation Centre talks about his CAD/CAM work on the Cheapside Hoard. And there are more videos to follow; look out for them on the BCU Research pages. Yesterday saw the launch of our new research website pages and videos. We have also captured more about the individual projects our academics have been working on. These are dotted throughout the research pages; most of them are within the Research Community section, and just click on a research centre name to see more information and a video. You can also find videos in the new Research Stories section. Here you will be able to follow live projects and read about completed research projects. Not all research centres and projects will have videos yet; we are continuing the process of filming and editing so look out for many more in the future. If you are a researcher at BCU and want us to interview you about your research, please let us know. You can tweet @myBCUResearch or email karen.patel[at]bcu.ac.uk. We hope you’ve had a great summer break. Here is the latest research news from BCU. Birmingham City University’s Annual Research Conference, RESCON13, will take place on Tuesday 17 December 2013. The event will be held at the impressive new Parkside Campus, and all staff and research students are welcome to attend. Further details, including how to register to attend and/or present your research at the event, will be confirmed soon. Reader in Nursing Lucy Land and visiting Professor Jonathan Ross have been awarded £1.4m funding from the National Institute for Health Research to trial an antibiotic not previously used to treat Gonorrhea. Gonorrhea is starting to become resistant to antibiotics, so new treatments are needed in order to fight the infection. With no new antibiotics on the horizon, this research could potentially make a significant impact on public health globally. ‘Beyond the Campus – Higher Education and the Creative Economy’ has just launched its latest Call for Papers, with the next seminar taking place at Birmingham City University. The deadline for abstracts is Tuesday 10 September. The seminar will take place on 6 November 2013 and is entitled: ‘A third space for creative arts & creative industries? The role of Higher education in creative platforms, spaces and networks’. Confirmed keynote speaker is Sebastian Olma of Serendipity Lab. Sebastian is an international scholar helping to connect governments, companies and organisations to the innovative potential of social networks. For more information and to download the call for papers, click here. Following on from the success on the AHRC’s Follow-on Funding for Impact and Engagement Scheme, the AHRC are launching a Commercialisation highlight call which is designed to encourage entrepreneurial researchers from across the UK to find successful routes to market, and develop the exploitation and commercialisation aspects of their research. Find out more here. Serena Trowbridge (PME) – What is gothic, and what isn’t? Beck Collins (TEE) – All knowledge is equal but some is more equal than others? Mohammad Mayouf (TEE) – Intangibles in buildings – reality or mystery? This week there have been a few articles floating around about public engagement and writing for a general audience. Nine Tips for academics writing for a general audience – Can you suggest any more? Fresh from the LSE impact blog – To write for the public is to demonstrate social scientists have knowledge, expertise, and thoughts worth considering. Do you agree? Let us know your thoughts in the comments below. You can also tweet us @myBCUResearch. Here is the latest research news from around the University and beyond. The Jewellery Industry Innovation Centre (JIIC) have received worldwide press coverage for the work they have been carrying out on the Cheapside Hoard, a 400-year-old collection of jewellery which is to be exhibited at the Museum of London later this year. Their work in recreating the hoard has been featured in publications such as New Scientist, USA’s Fox News, Australia’s Telegraph and many more. Ann-Marie Carey and Keith Adcock of the JIIC have been using a range of methods including 3D printing to recreate intricate replicas of the Cheapside Hoard. These replicas are hoped to be used for tactile exhibitions in museums, to enable people to really appreciate the craftsmanship that went into creating the ancient pieces. Look out for the research team’s exclusive video interview with Ann-Marie on the BCU website soon. David Adams and Mike Hardman (TEE) have had their article about guerilla gardening published in Urban Studies journal, titled: ‘Observing Guerrillas in the Wild: Reinterpreting Practices of Urban Guerrilla Gardening’. We wish him the best of luck for the future. Jon Yorke (ELSS) has started up a blog about his work on human rights and public law. The Birmingham School of the Built Environment (BSBE) blog has more posts this week, with our academics giving their thoughts on the latest environmental and planning news. Roger Wall talks about HS2 and fracking, and Peter Larkham talks about Birmingham’s planning history. Top news, if you didn’t already know, is that the Higher Education Funding Council for England (HEFCE) have appointed Professor Madeline Atkins, Vice-Chancellor of Coventry University, to be their next Chief Executive. The Arts and Humanities Research Council (AHRC) have changed their policy for Project Studentships. No weird or wonderful research news this week, but we’ve found some useful articles. Vitae have a useful post on their blog: ‘The Academic Conference: How to Stand Out From the Crowd’ with six useful tips on how to make an impression, whether you’re presenting or not. Andy Miah has outlined his top 5 social media platforms for research development. Do you use any and if so, which ones do you find most effective? Share your thoughts in the comment box. BCU Researchers – share your stories to include in this blog either by tweeting @myBCUresearch or commenting below.